Google is taking by far the biggest amount, followed by Facebook. According to the Advertising Association (full data below), total internet advertising grew to £11.5bn last year. But only a tiny amount of that online spend went to the websites of national and regional newsbrands and magazines. And magazine brands made £271m in digital advertising (down 4 per cent year-on-year). 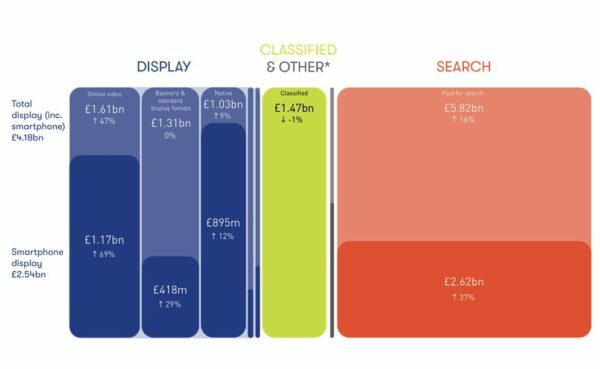 Separate figures release by the Internet Advertising Bureau (see picture below) show that search advertising comprised £5.82bn of the £11.5bn online advertising total. As Google takes 90 per cent of the UK search advertising total it can be reckoned to be making at least £5bn on this alone in the UK. Display advertising comprises £4.18bn of the total, according to the IAB, and Google will also take a major slice of this via platforms like YouTube and its widely used Doubleclick advertising service. Facebook is thought to be the biggest player when it comes to online display advertising in the UK, taking in excess of £1bn. Radio: £679m (up 5.2 per cent year-on-year). 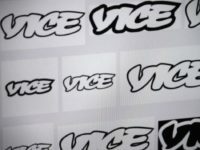 The figures come a year after Press Gazette launched its Duopoly campaign warning that the dominance of Google and Facebook in the advertising market was pushing news publishers out of business. They show that trend continuing. While the growth in digital advertising provides some encouragement for the industry, this is failing to offset overall decline across the board. 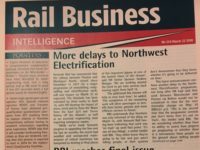 With print circulations in steep decline industry-wide, this helps explain why the news industry is continuing to look towards paid online subscriptions for its salvation. Chief executive of the Advertising Association Stephen Woodford said: “These very impressive ad spend figures demonstrate the strength and resilience of the UK advertising industry over the course of 2017. “To see ad spend hit the £6bn mark in Q4 is a very encouraging result, as is the prediction that we will see 10 years of continued growth through 2019. Could it be that titles just like this are complete and utter shite? All fake, false, phoney copy and paste rubbish. No relity to what is happening in real life.